Having just played Brooklyn last weekend, Mind Spiders are back in Texas and will be in Austin during SXSW to play the Dirtnap Records day party which happens at Beerland on Thursday, March 15 from noon – 7 PM. 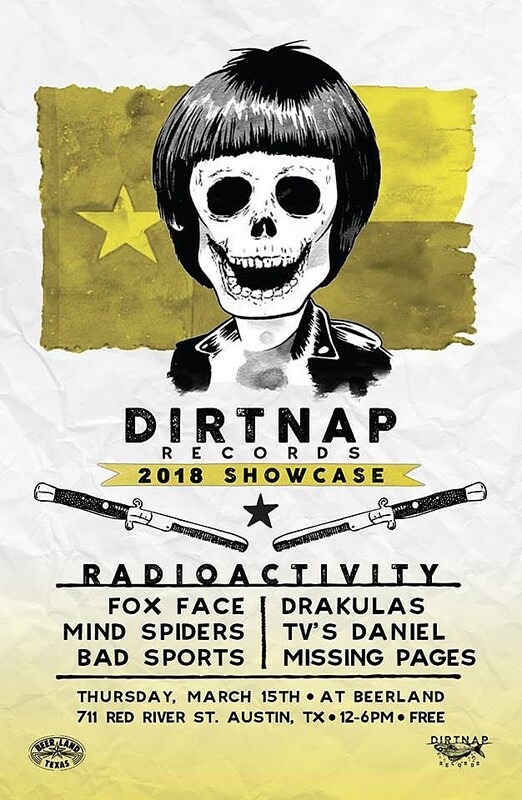 Also on the bill: Radioactivity (who share some members with Mind Spiders), Fox Face, Bad Sports, Drakulas, TV’s Daniel, and Missing Pages. More info on that party is here.